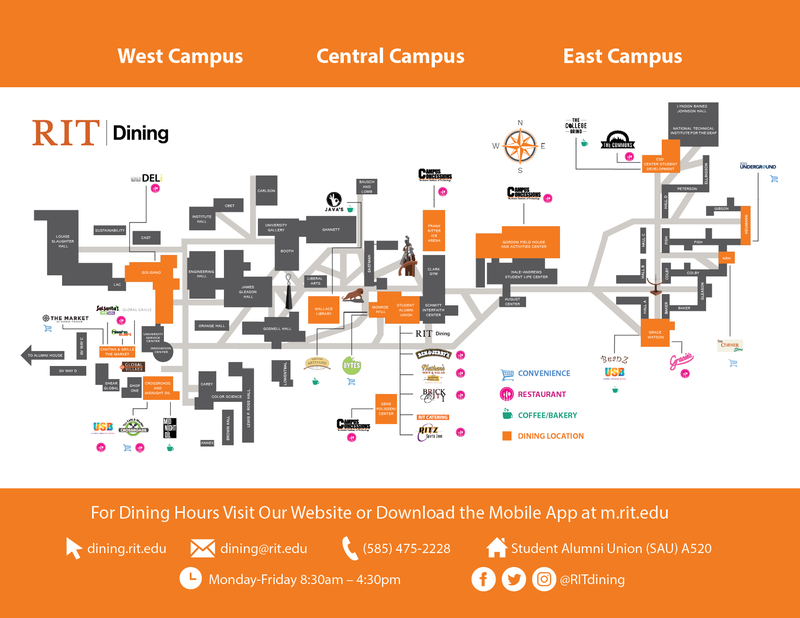 RIT Dining operates twenty-one campus locations including six restaurants and dining halls, five markets and convenience stores, six express dining locations, a full service catering department, three venues that offer full concessions and all campus dining. Our talented, personable and dedicated staff are available at any time to answer questions to help you achieve consistent positive experiences. View all 21 dining locations. Regular, break and holiday hours of operation. Daily menus, specials and visiting chefs.